Almost none of The Witcher 3’s trailers are particularly exceptional: they don’t capture the player’s journey — or what makes The Witcher 3 unique. I can say this with confidence after completing the sixty-hour story, watching most of its 46 trailers, and deep-diving the unexpected ways the game deals with love. Despite the weakness of the game’s trailers, they do one thing incredibly right: they secure a HUGE player-base — one strong enough to help developer CD Projekt Red to become worth $1 billion. How did these trailers help secure so many players? 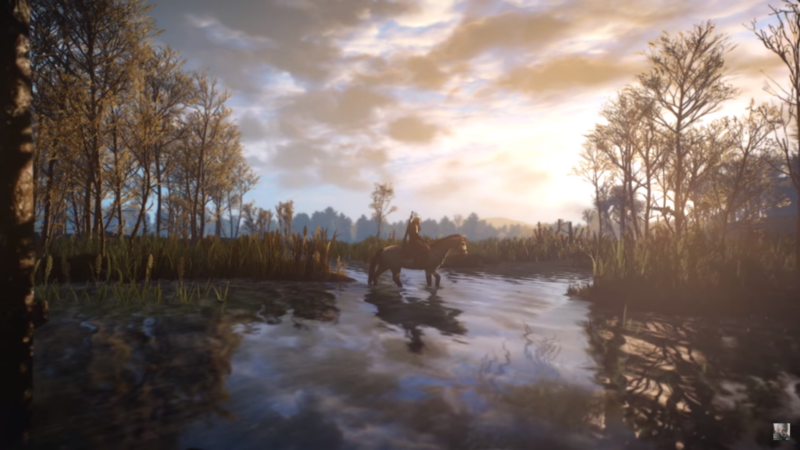 These 46 trailers and dev diaries work because they compound in unison — multiplying as a string of touch points, forcing viewers to inevitably ask, “should I buy this?” Sure, that huge number of trailers is possible from a studio with CD Projekt Red’s cashflow. Indies can use this multi-trailer approach too — even with a tiny budget. You have to first ask, “How many stories can I tell about our game?” Every detail about your game has the potential for more exposure. Quick snapshots can go a long way. Remember that The Witcher 3’s trailers weren’t great at informing the gameplay experience, but stuck to core branding and just showed more of the world. They trusted that under-informing video impressions would be enough to whet an appetite. And boy did that deliver. Keep your project in front of players — that’s the key lesson here. By the time somebody sees The Witcher 3: Game of the Year edition’s trailer, they’ve likely seen at least one of the other forty five trailers. And once a product is familiar, it’s that much easier for players to hit that “buy” button. Some indies have tried this multi-trailer approach successfully. Take Broforce for instance. That game was in Early Access for two years: warranting update trailers out the wazoo — which kept that game in front of players. That’s invaluable. The Broforce team kept pumping-out the update trailers post-release too, which again, kept the attention flowing. Multiple trailers won’t work for everyone. Especially if you don’t have any time or money to spare for them. But for those who are able to keep pumping out content, the multiplied exposure can be very worthwhile. 1. Map your plan of messaging and delivery. This isn’t a mandatory detail, but it will definitely help you to develop a core strategy to stagger your trailers evenly (say, once a month) to keep from an over-abundance or an under-abundance of market saturation. 2. Craft reusable trailer assets. For the first time around, refine your title graphics to be appealing-enough for later reuse. This allows new footage to be be slotted-in while establishing your core brand as high-quality. 3. Determine a core and consistent voice. Notice the “Hell Yeah, Bro” voiceover in the Broforce campaign. You don’t have to do something so overt, but each trailer should feel like it’s clearly connected to all of the others. 4. Cut fast and loose. Don’t worry about getting the edit perfect straight out of the gate. Let velocity be your friend. Don’t worry about having the perfect messaging. Your messaging is “lots of content” and updates, which shows you care. 5. Try new things (like dev diaries and experimental “weird” trailers). Show and team members being themselves can be a great way to break-up the expectations on what your game is. Focus on what makes your team unique, while interspersing shots from the other trailer cuts. Or try something completely different and maybe a little crazy. Nobody got kicked out of the indie game space for being too weird. Let me know if any of that helps your game. I’d love to hear from devs who have tried this multi-trailer approach and hear how it worked.